Recently we were nominated by Inspiring Travelers to take part in the 7 Links Project started by Trip Base. I actually first saw this exercise at ProBlogger and thought it was a great idea. I did my own 7 Links about a year ago and since it is midway through the year, I thought it would be a good time to do another. To unite bloggers in a joint endeavor to share lessons learned and create a bank of long but not forgotten blog posts that deserve to see the light of day again. 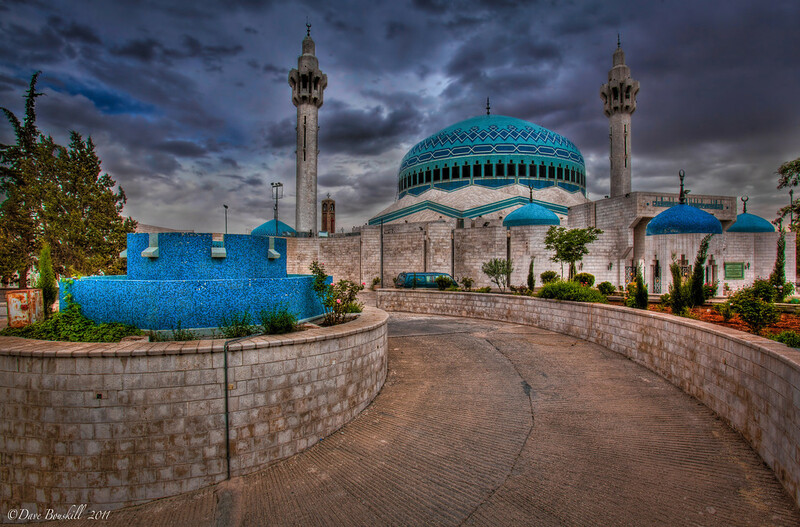 I wouldn't say that Amman is a beautiful city as far as the skyline or some of its architecture. But we had a wonderful time seeing it with our guides Ali and Mahmoud. Once we finished the post, we felt that we captured the essences of the city. We felt that captured the beautiful moments of our time there. Not far behind Walking Amman for most beautiful post was Petra By Day and Petra by Night. (I see a pattern here in Jordan being beautiful.) 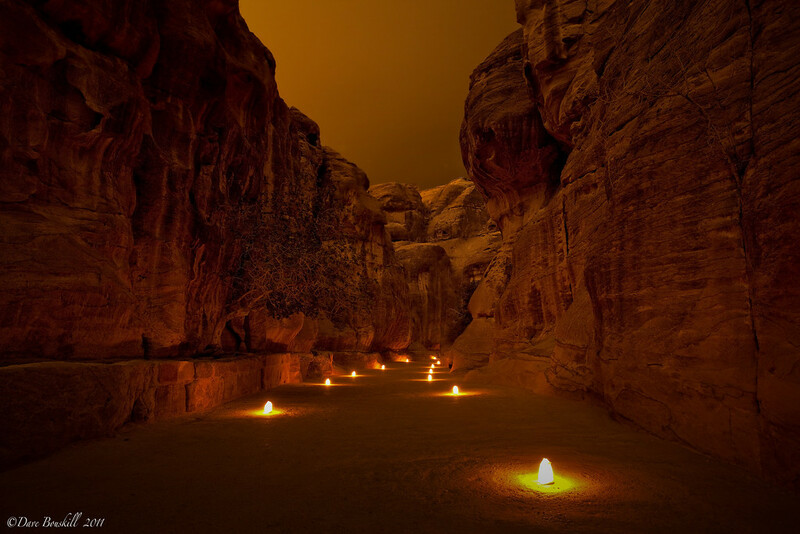 However, Petra by Night is our most popular post so may be others found it to be the most beautiful. This post is still going out of control and has not only received over 60,000 Stumbles but nearly 70,000 views. Every day I am amazed when I see it going strong our stats page. This is an easy one, India is Filthy. The title alone is enough to cause an uproar. We wrote it while we were in India. We had already been there over 2 months at the time and the utter filth was driving us to our breaking point. We found it all so senseless for a country that is developing rapidly and has the resources to do something about it. I hope that India cleans up it's act because it could be beautiful everywhere. We did a 3 part series on booking trains in India. It can be very confusing trying to take a train there and it took us 3 months, but we finally learned how to book online with a Canadian Credit Card, how to book last minute and how to pay off the train captain if you only have a general class seat, but want to upgrade to 2nd class. It can be done. I don't even have a picture for this one, normally our popular posts are photo heavy. I had another post scheduled for the day this post came out, but I woke up in a funk. I had to get a few things off of my chest and I wrote this post quickly, published it and then left the house to go and see a movie. I didn't think anyone would read it and I was sure that those who did would give me a lot of flack. As it turned out, I came home that night to an onslaught of comments and support that brought tears to my eyes. This was a beautiful 2 days in Thailand and a unique way to explore the Hongs and Islands of Southern Thailand. We loved sharing the experience and the photographs that we captured were amazing. 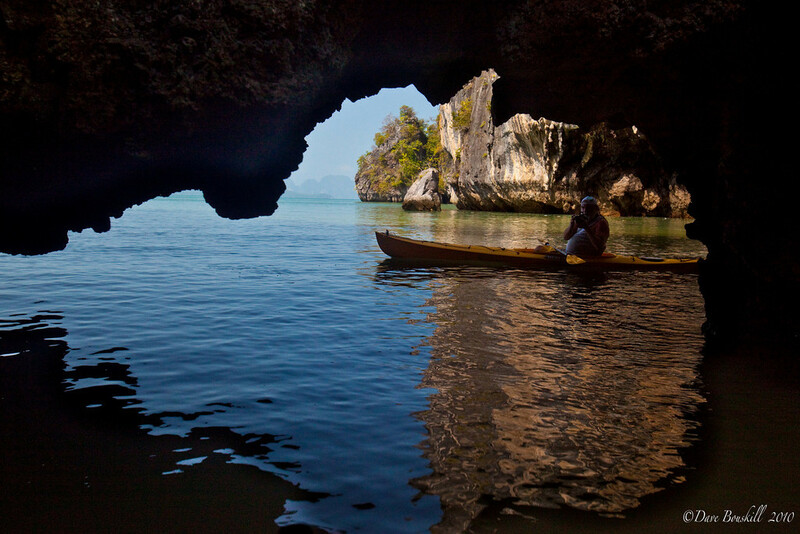 We wish that more people would check out this post to be inspired to try something different when visiting Thailand. 7. The post that you are most proud of – Tuk Tuk Driver Makes a Difference. We were honoured to be invited by our friend Ajith in Sri Lanka to visit a school in the Jungle where he was donating shoes to the students. We have introduced so many travelers to Ajith and we are happy to be able to have them give him messages for us. We want him to know that we are still thinking of him and it feels good to be able to send work his way when people visit Sri Lanka. He is a poor tuk tuk driver with a big heart that gives so much and we are happy to be able to share his story. So, now it is our turn to nominate 5 More Bloggers to keep the momentum going. Have you been nominated? Check out the list of Nominated Bloggers to avoid nominating someone twice. 4 Responses to "My 7 Links"
Really got my travel blogging inspiration from your blog posts, more so with the links mentioned here. Am also scouting for such links in case a blogger would pick my blog up for nomination. Thanks for sharing this.